What is the difference between Manual and Auto confirmation? 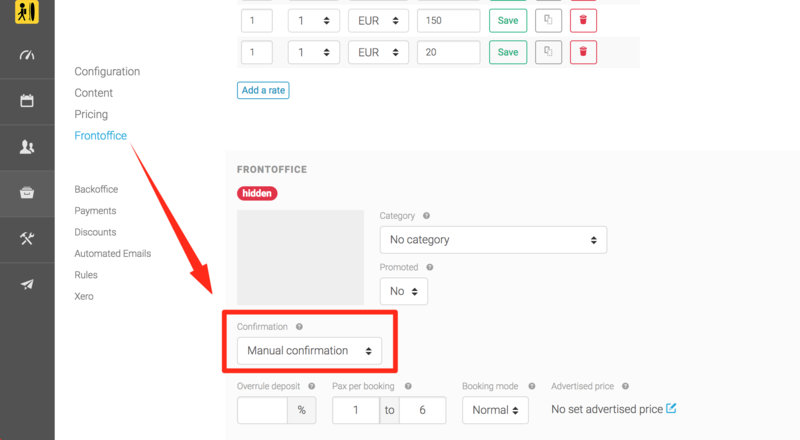 If your packages are set to Manual Confirmation, your bookings will enter your Backoffice as Booking Requests which you will have to manually confirm before the booking confirmation is sent out and payments can be made by your guests. This is useful if you want to check capacity in your activity centers or with third parties, for example, before you can guarantee a spot. On the other hand, if you work with Auto Confirmation packages, your bookings are automatically confirmed in your Backoffice and your booking confirmation will be sent to your client directly after the booking has been made. Also, the client will be redirected directly to the payment page, where a payment can be made (either deposit or full amount). Open an Inventory item (e.g. a package or activity). Go to the Frontoffice tab in your Backoffice and select the option Manual Confirmation. Now, as said before, your packages will have to be manually confirmed in your Backoffice. The client, after having made the booking, will be redirected to the Thank you page. The booking will enter your Backoffice with its status set as ''Requested''. You will then need to manually update its status to ''Confirmed''. Depending on the settings in your Backoffice, the customer can automatically receive a confirmation email with the Customer Portal URL included so that they can make a payment for their booking. Open an Inventory item (e.g. a package or activity). Go once again to the Frontoffice tab in your Backoffice and select the option Auto Confirmation. 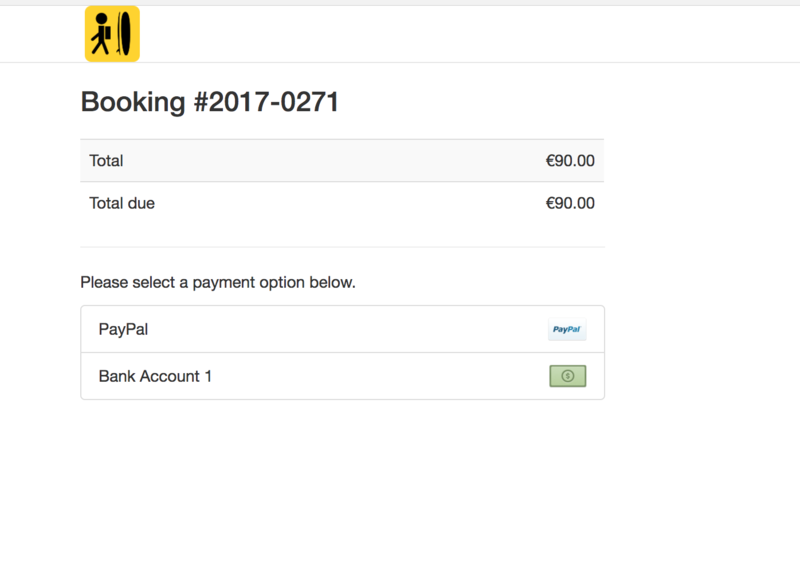 Depending on their next actions and the amount they pay, your bookings will enter your system as ''Confirmed'' (when no payment is made), ''Deposit Paid'' or ''Paid''. Tip: You can set automated emails for all these scenarios, in order to better manage your received bookings.